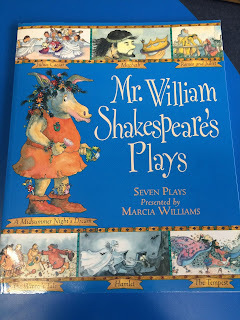 Today you can read all about how I love using Marcia Williams books in my classroom for teaching classic texts, supporting struggling readers, engaging reluctant ones and challenging the high flyers over on the Adventures in Literacy Land blog! Head over there and take a look! I really hope you all had a Happy Christmas and a relaxing break and are looking forward to 2016! It's January 3rd - I'm worried I'm a bit late to join the Currently party this month but I'm going for it anyway. 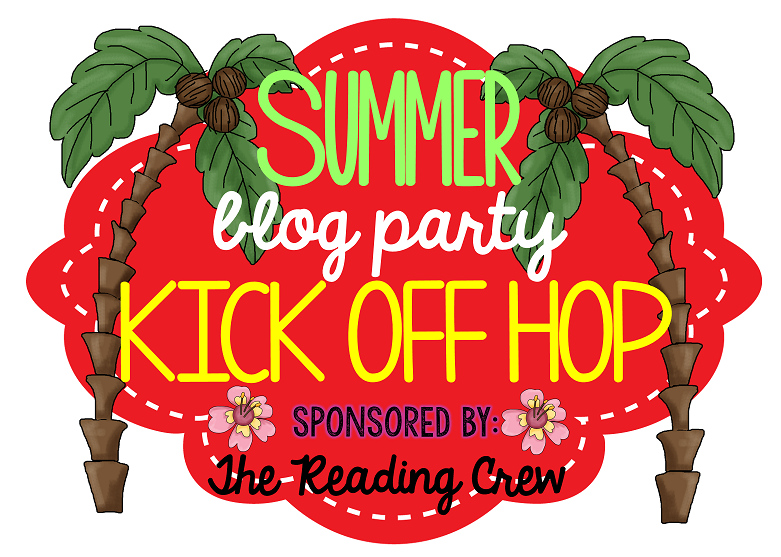 I love reading about what everyone else it up to and am determined to link up every month this year! My Currently is short and pretty self explanatory this month. I don't feel as bad as I should about the time I took for myself and all the time I haven't spent on school work this break - I'm sure that will change once I start chasing my tail on Tuesday when we're back! Thanks for stopping by today. 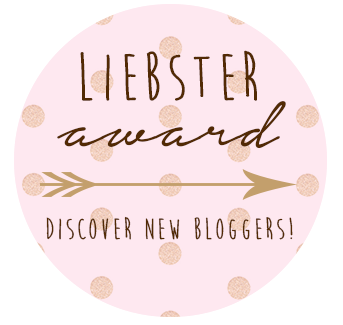 Please feel free to leave a comment and follow my blog if you're not doing so already! 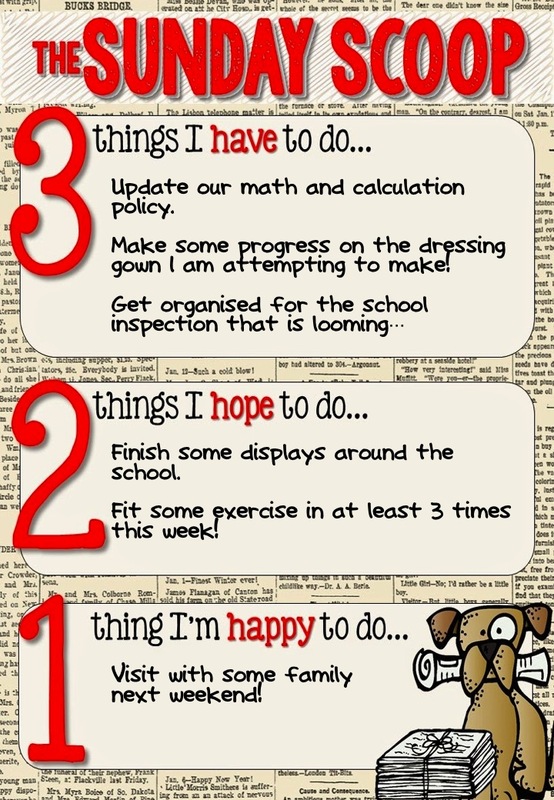 What do you have planned this coming week? Favourite Back to School Things! 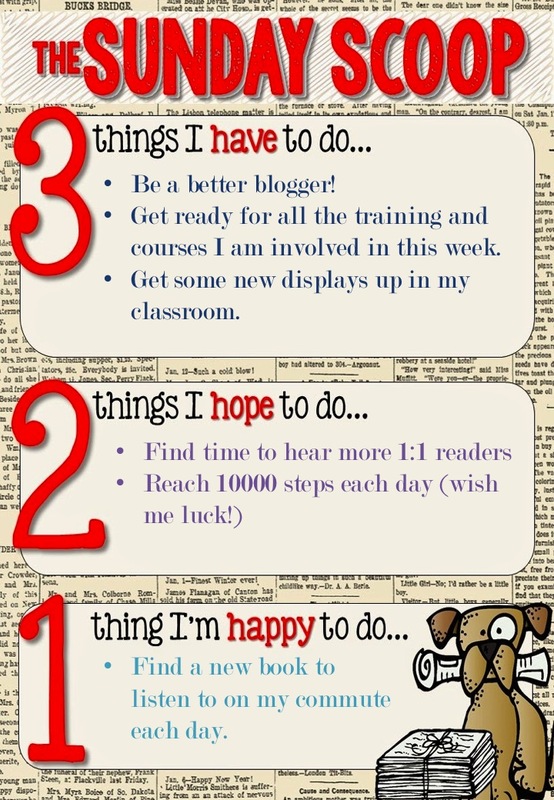 I'm delighted to be linking up with the Teaching Trio today to share a few of my favourite things! 1. 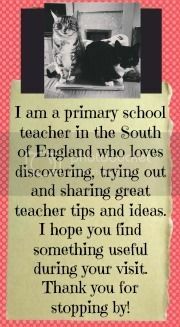 Share some of my favourite stories. Do unto Otters is great for any age group in my opinion. As it happened, my class was called Otters last year so this book was perfect but I think I would share it with any new class in the future! Hunter's Best Friend at school is great for sharing with younger children to teach them about being god role models for each other and The Angel of Nitshill Road used to be a favourite for sharing with the older children. 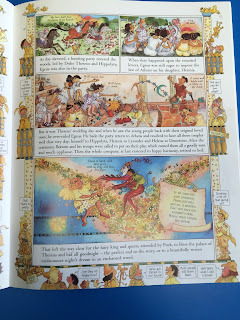 It's easily read aloud during the first week back at school and has some great messages. 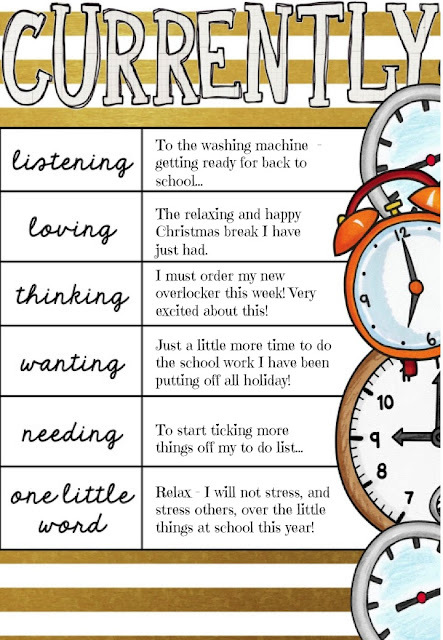 These make a quick and easy display and keep the kids busy while you try to do all those 101 things that need doing on the first few days back! You can grab my All About me book for free here. 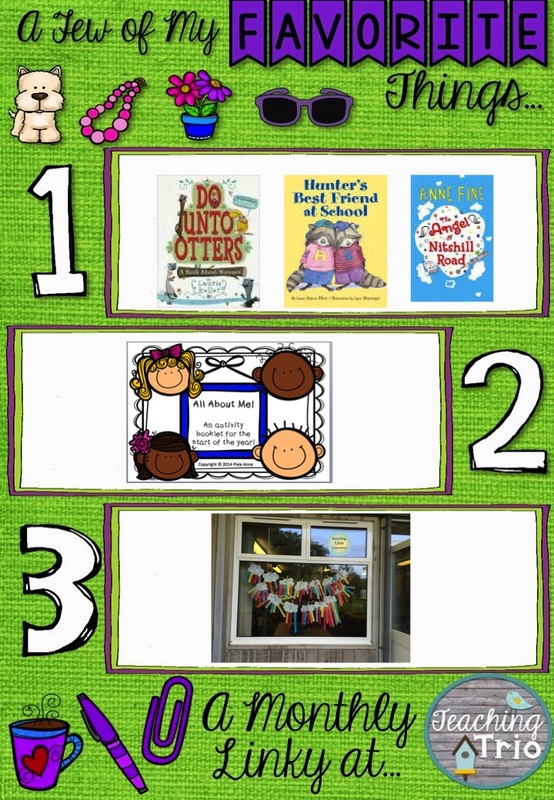 This was a pinterest find and I loved making these and displaying in the window for the parents to see last year. 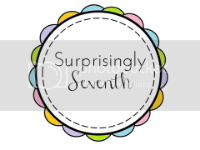 Bright and fun to make! What are your favourite first day of school activities? I'd love to hear about them so leave a comment below! 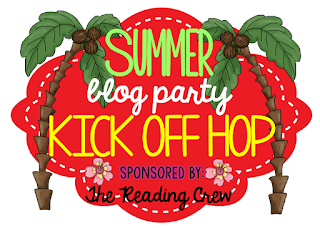 Don't forget to link up with the Teaching Trio for this fun linky! where you can pick up some great freebies to help your students or own children keep on learning over the Summer break! 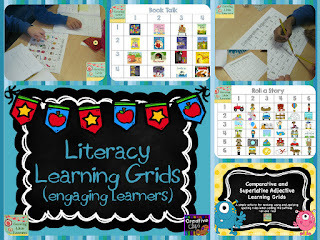 If you saw my post a few months back on Adventures in Literacy Land, you will know that I LOVE learning grids and use them in all subjects whenever I can! 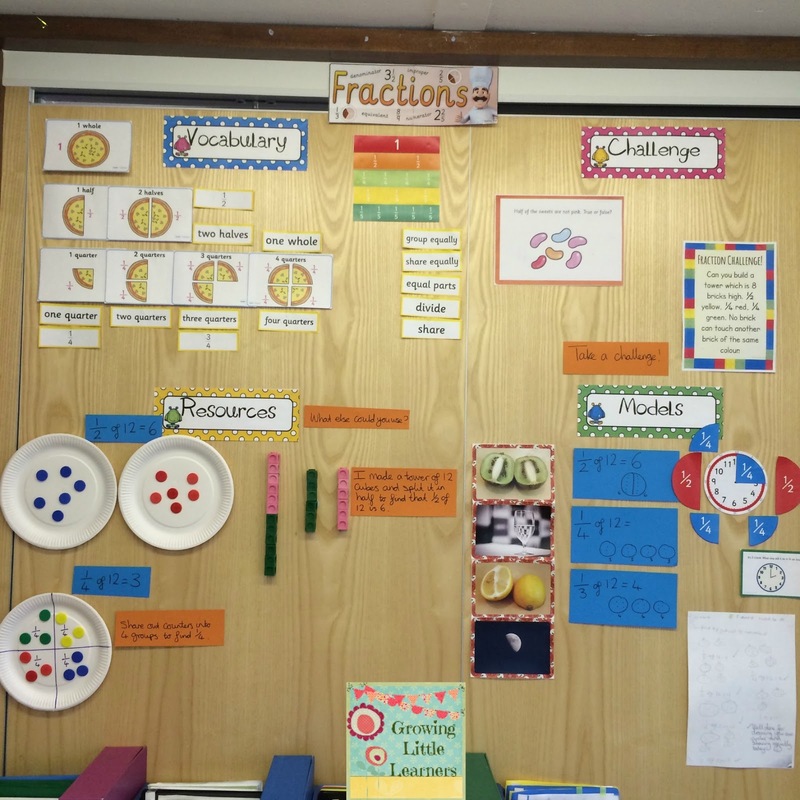 I saw Steve Bowkett speak about using learning grids in the classroom and have been making them ever since. He was so inspiring and realistic about the challenges teachers face in the classroom when it comes to engaging children and getting reluctant writers writing! 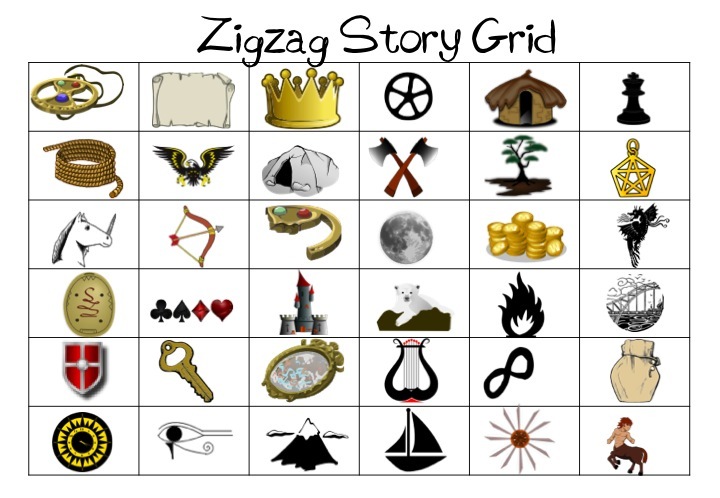 I loved the idea of using learning grids full of images to create zig zag stories with the children. 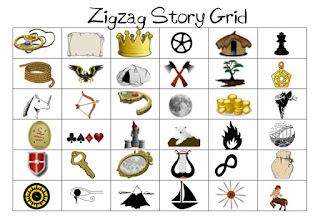 My freebie for you includes: a zig zag story grid for older children based around a fantasy theme; a writing frame for recording stories created; a list of sentence openers and connectives that could be used as a prompt and a blank grid which could keep children busy for hours as they draw and create their own story boards to play with! 6. Carry on rolling and zigzagging across the grid until you get to the end! 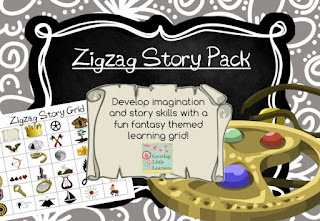 There is so much potential in using these to develop fantastic story vocabulary and ideas, stimulate imagination, inspire great writing and improve speaking and listening skills. Children could use them independently but I always think they are better when used in pairs - it's more challenging to pick up where someone else leaves off and way more funny! I hope that using these over the break helps prevent the summer slide and keeps those little minds active! 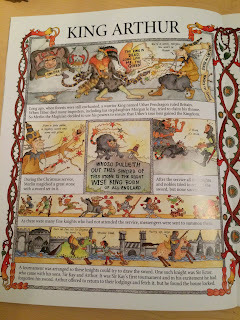 and for you, that means heading on over the the lovely Lauren at Teacher Mom of Three for another great writing prompt! 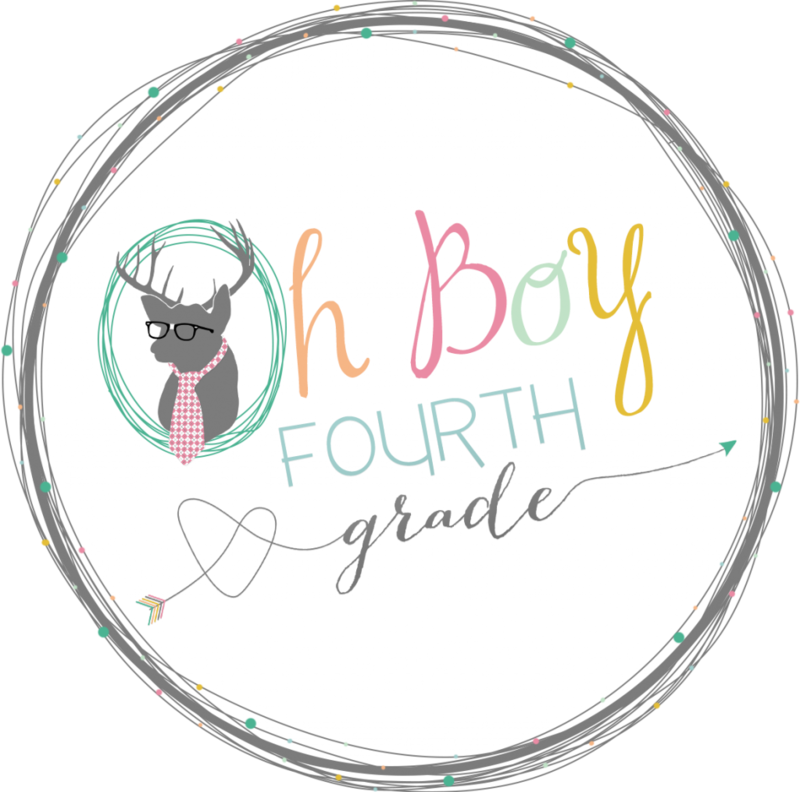 I'm a little late linking up still wanted to join in with Farley at Oh Boy Fourth Grade with Currently this month...Better late than never! Listening: I have seen the first season but now have the box set of seasons 1-4 so wanted to refresh my memory before binging on the rest. Throughly enjoying it all over again! Loving: That I can be a little lazy today because tomorrow is a bank holiday! Wanting: This is self explanatory - rotten cold! Needing: So much to do. And we still have until July 21st until we break up for our summer break. It seems so far away! Summer: I AM going to get into good exercise habits this summer (and hopefully before). 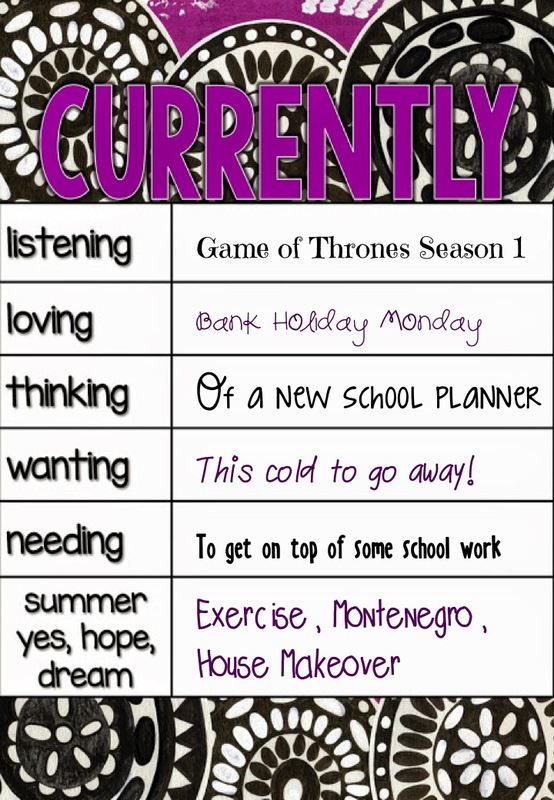 I think I have decided on Montenegro for a summer holiday this year and am now busy researching! It is just a dream but I would love my house to magically redecorate itself (including new furniture) this summer! I'm off to check out what everyone else is up to now. Thanks Farley for hosting! Teaching Trio for one of my favourite linkies! 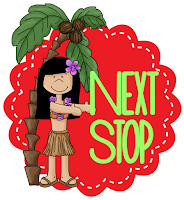 The first item on my HAVE to list is one I am really going to work on this week, especially as I am posting over on Adventures in Literacy Land on Thursday! 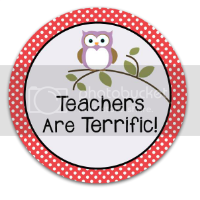 It's a pretty busy week with me leading some staff training on engagement along with some other staff tomorrow and then attending training on moderation on Wednesday and on Feedback on Friday. I don't mind the training but I know you will all feel my pain with regards to the cover notes and preparation I will need to do! With all that going on I really HOPE to hear more readers this week. 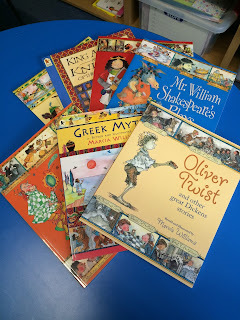 My class are coming on so well with their reading and I want to hear as many as I can individually over the next couple of weeks. Please also wish me luck reaching 10000 steps each day and leave me audiobook recommendations if you have any! 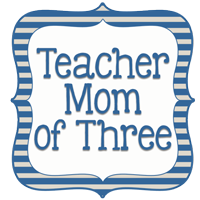 Thank you again to the Teaching Trio for hosting The Sunday Scoop - don't forget to link up and share your plans! Thank you to the Teaching Trio for hosting The Sunday Scoop! © Pixie Anne 2014. Simple theme. Powered by Blogger.